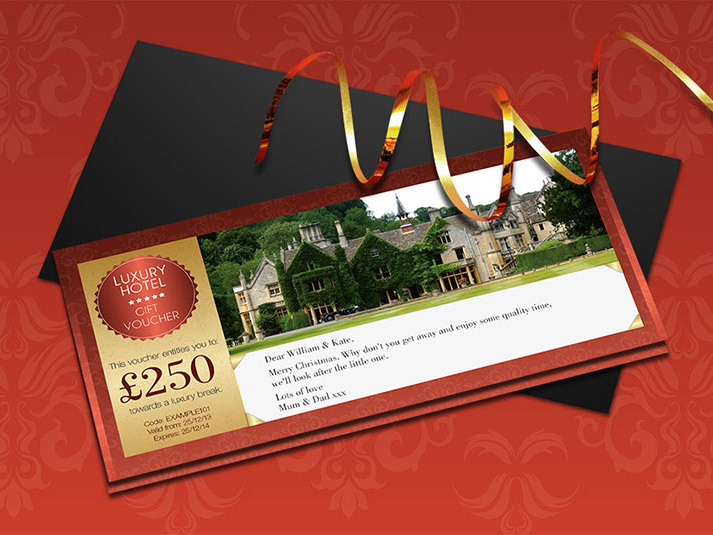 countryhotelbreaks.com hotel gift vouchers are the perfect gift present. 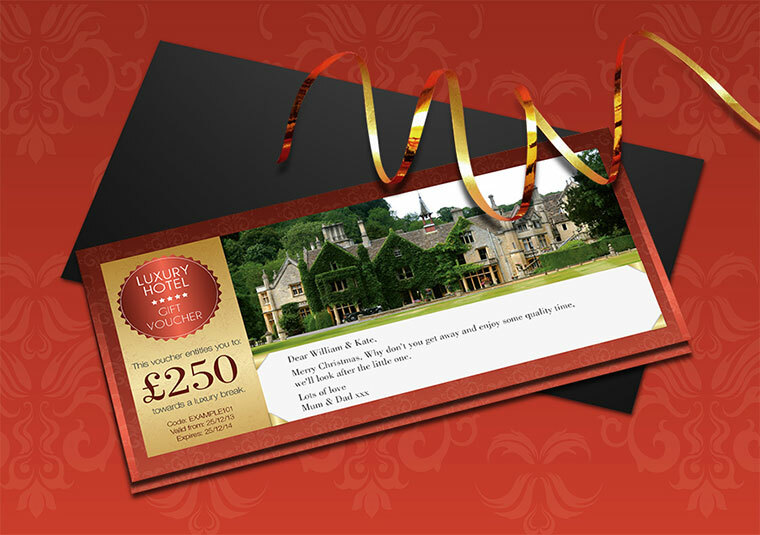 Whether for Christmas, Birthdays, or employee reward our luxury hotel vouchers are a truly memorable gift. Gift vouchers are available in any value from £25 upwards. Choose to send your voucher by email or by post, or simply download your eVoucher instantly online for printing. Vouchers valid for one year and can be used for multiple purchases. Corporate enquiries welcome - email us for details. Email vouchers are despatched instantly and should arrive within 5 minutes. Our standard delivery is free. Postal vouchers will be despatched within 5 working days.